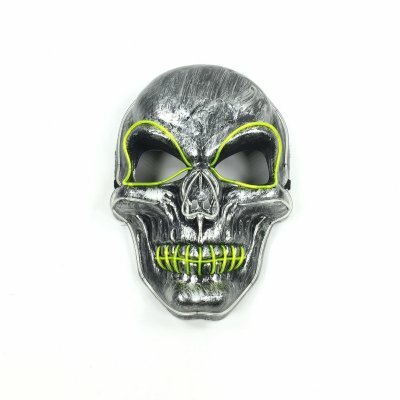 Successfully Added LED Light Up Skull Face Mask Flashing Luminous Halloween Costume Party Decor to your Shopping Cart. --EL light+ environmentally friendly plastic, with high strength and safe for use. --Make yourself cool and flashing in group. --Nice gift for your family and friends. --Suitable for occasions: costume party, party party, birthday party, Halloween, carnival etc.